A rough piece of Botryoidal Chalcedony, sold as a mineral specimen. 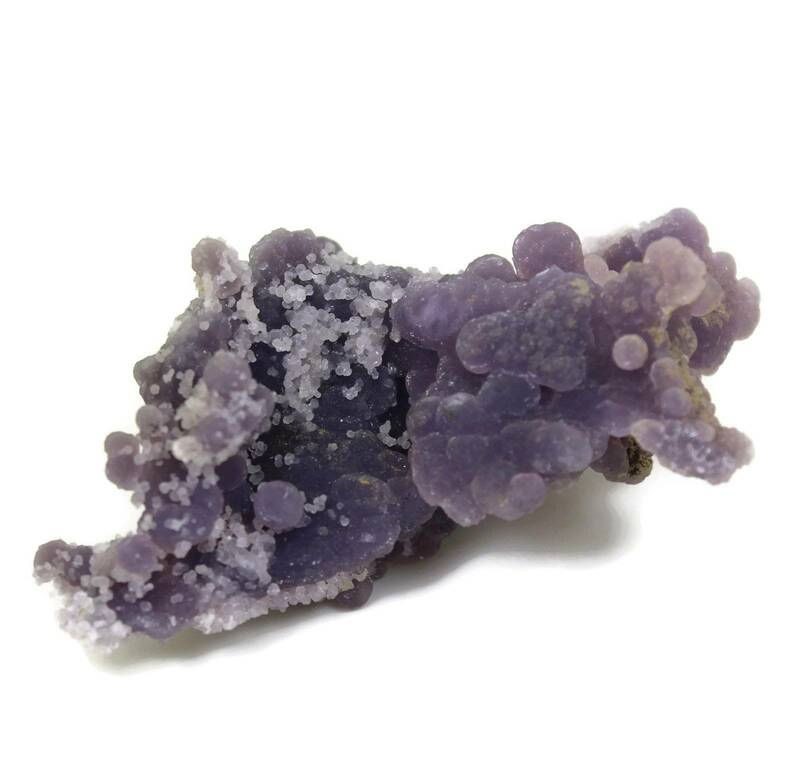 A rough piece of Botryoidal Chalcedony / Grape Agate, sold as a mineral specimen. Intensely popular with collectors and crystal healers at the minute, and they make great gifts, too. These specimen pieces usually show a decent range of the botryoidal nature, and are a good shade of purple. Some do have some edge and surface damage; the balls themselves are easy to dislodge so be careful when handling. 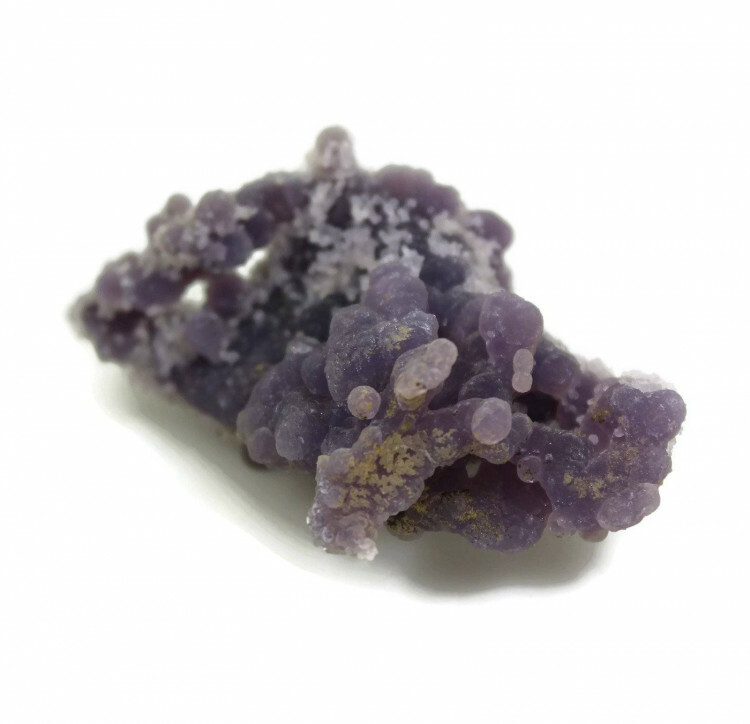 They are commonly referred to as ‘Grape Agate’ but are not a type of Agate. This name is purely a trade/marketing name, possible because no-one can pronounce or spell Botryoidal Chalcedony! These pieces are available in three sizes! 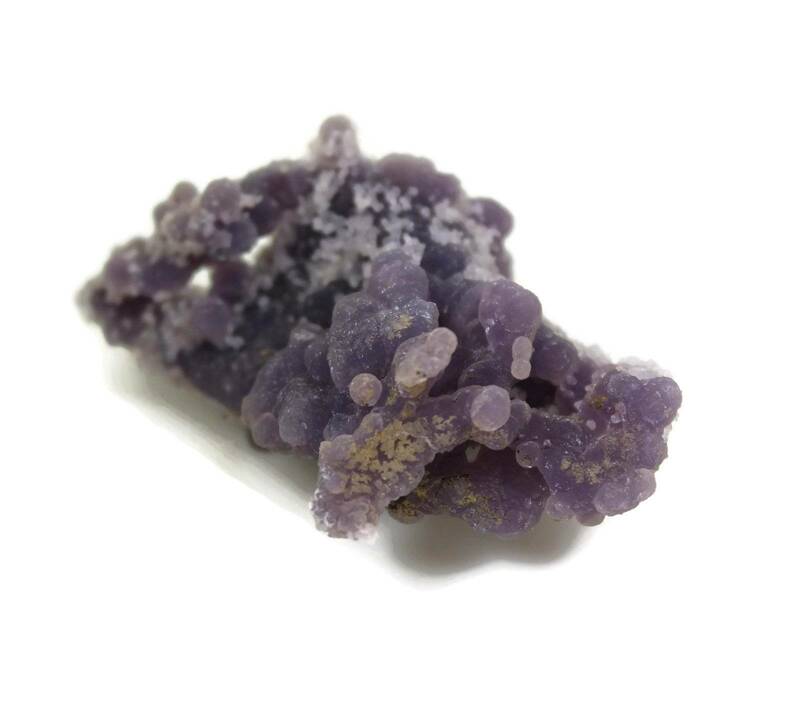 For a full list of all of our related Chalcedony products, and some information about the mineral itself, please see our main ‘Chalcedony’ section.